Whether you have a small amount of commercial equipment that needs to be stored for an indefinite period of time or a large amount of household goods that you need sorted while your home is renovated, our storage services are perfect for you. We have the safest and most secure storage facilities in the Gulf Coast area, and our Pensacola Moving Company can take excellent care of your equipment, furniture, or other goods while they’re kept in our hands. We can also handle all of the packing, picking up, and the redelivery services, so you’re not stuck with handling anything yourself as you would be with self-storage. No matter what you need stored or for what period of time, you can count on Coastal Moving & Storage to take care of the job as well as your possessions. Whether you’re moving and can’t bring some of your household goods along, or you just need temporary, short-term storage, our storage services are the answer. When you’re having any of your household goods put it into our storage facility, we’ll arrive at your home with our vault ready to be packed. We’ll put everything you need in storage into our vaults, making sure that it’s safely packed for transportation as well as storage. Then, we take the vault to our storage facility, and it won’t be opened again until we deliver it back to you. Our storage facility is completely safe, and we can guarantee that no harm will come to any of the items you entrust with us. 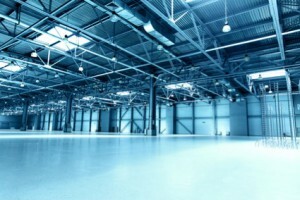 Whether it’s excess computers and printers, desks, or commercial restaurant equipment, when you need to store any commercial goods, our storage facilities are the perfect place. They’re completely safe and secure, and we can guarantee they won’t be damaged in any way. When we deliver your commercial goods back to you, we’ll them against the inventory that was performed at the loading to make sure that everything is there and in the condition we found it in. We can also store any commercial records you have, which we can pick up pre-packed, or we can pack for you. The records are inventoried with a barcode system, and we’ll make sure they’re up to federal standards. When you need access to the records we can retrieve them within 24 hours. If you are looking for Storage Services in Pensacola then please call 850-433-8308 or complete our online request form.